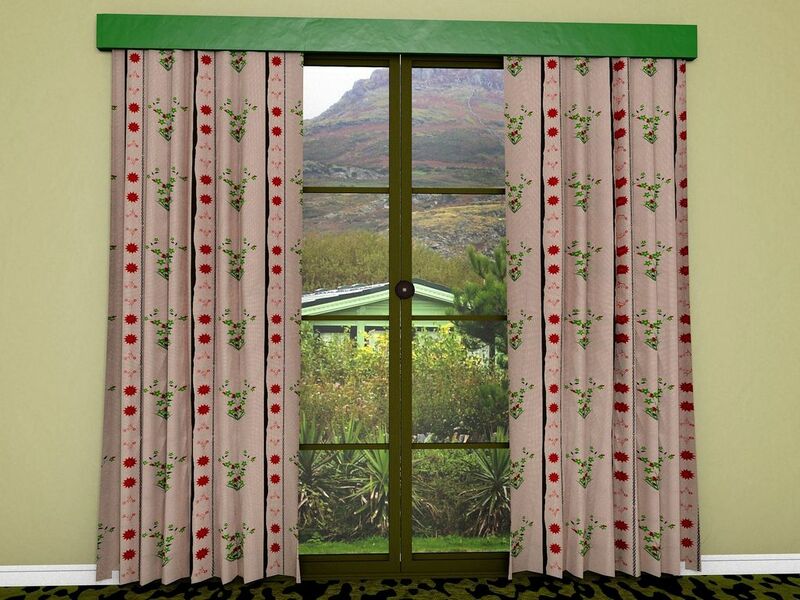 Mid-century curtains, at least in the start of the period, were anything but spectacular but these curtains are designed to be ostentatious, heavyweight and fashionable. The pattern is a simple one, and there must have been thousands of patterns like this, but the colour creates that luxurious ‘wall of colour’ effect to add a whole colour block to a room. The design was made in Xara Designer and the image produced and rendered in Cinema 4D. Mid-century? Yes, it is and this fabric design shows its practicality and versatility by being used as a transportation fabric. An excellent all-purpose design, this pattern has been in use for decades and still can be found giving good service today. For this example, the model is the Maxis car from Daz and the image was created in Daz Studio 4.7 while the design was fabricated in Xara Designer. A super new dress and to go with it a new pattern designed and created from the best of mid-century taste and colour. 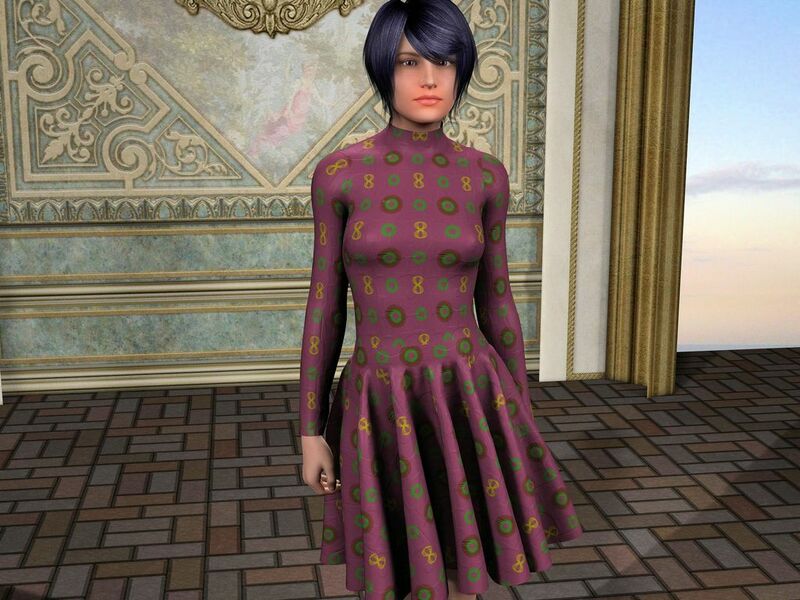 The dress is the new Katlyn dress available now from Daz while the model is a Genesis 2, probably the standard character rather than any of the derivatives. 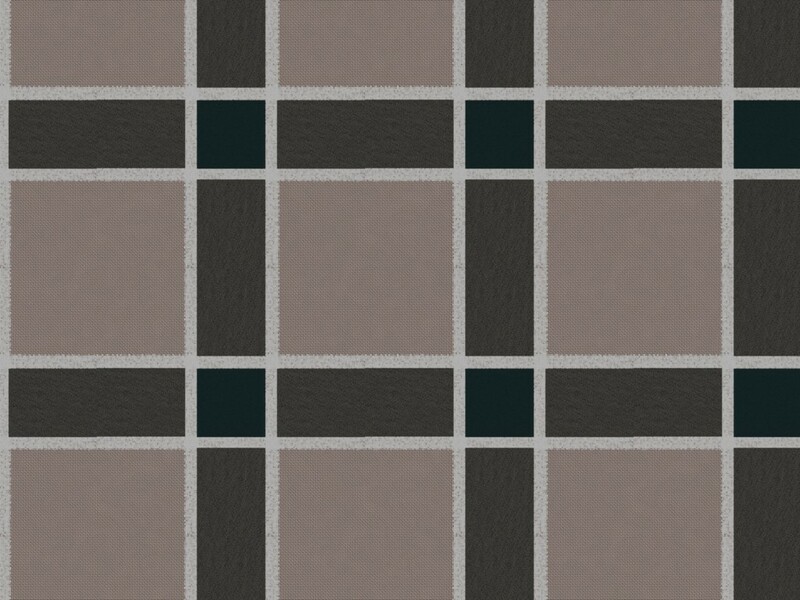 The new background is something I made from a wall belonging to something else and a standard floor I created. 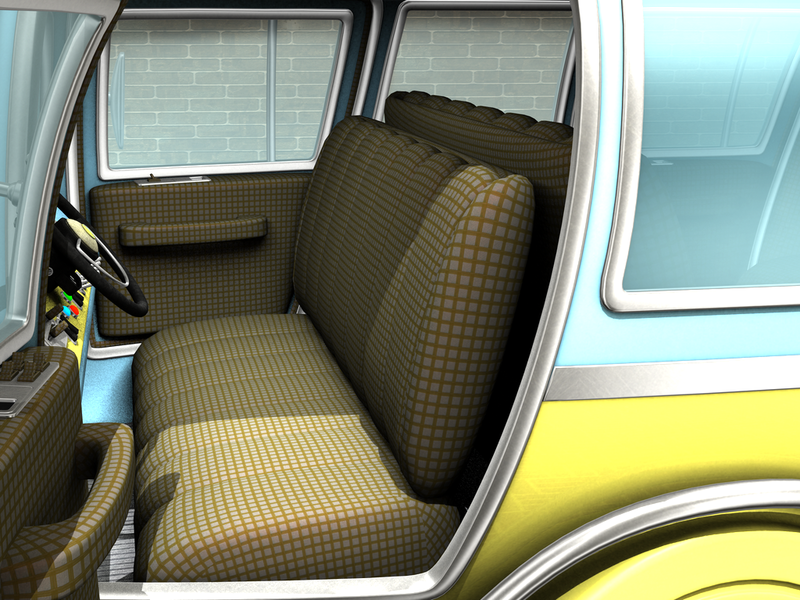 As with so many of my patterns, the design was created in Xara Designer and, of course, rendered in Daz Studio 4.7. I am pleased with the look of the set as well as with the dress pattern. 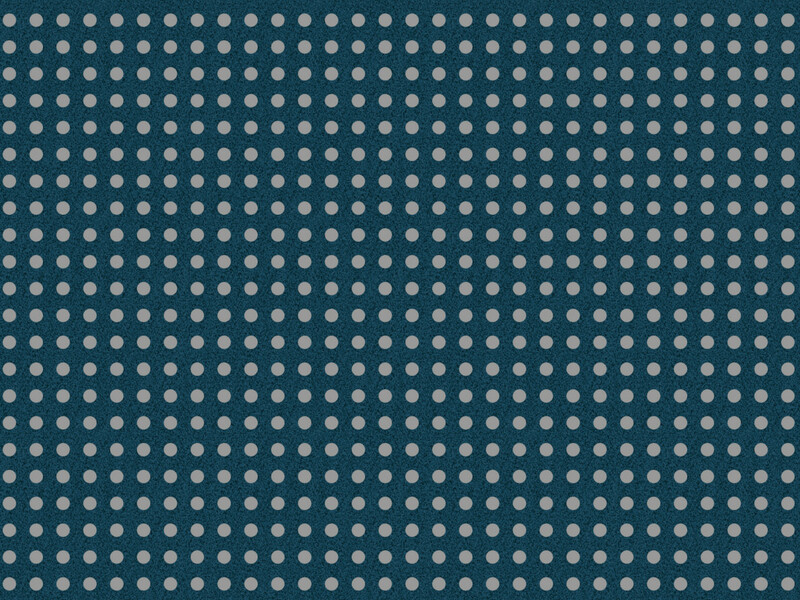 No, it’s not a Polka Dot because the dots aren’t regular (and neither are they round) so it’s just a spotted top. It was actually a lot harder to create than it looks but it was fun and I think the result is a good one. Yeah, but what about a colour, I hear you say. OK, you’re right, it would benefit from a colour and I will have a go, I initially only made it in grey scale but I can colour it if you want and see how we get on. This is a very straightforward but very useful fashion material inspired directly from from the 1960s and designed for everyday use. There were lots of patterns like this used for skirts and tops and many other applications, including curtaining and the like. The pattern once again is a very simple one but one that was popular in the early 1960s and which has remained in use until today. 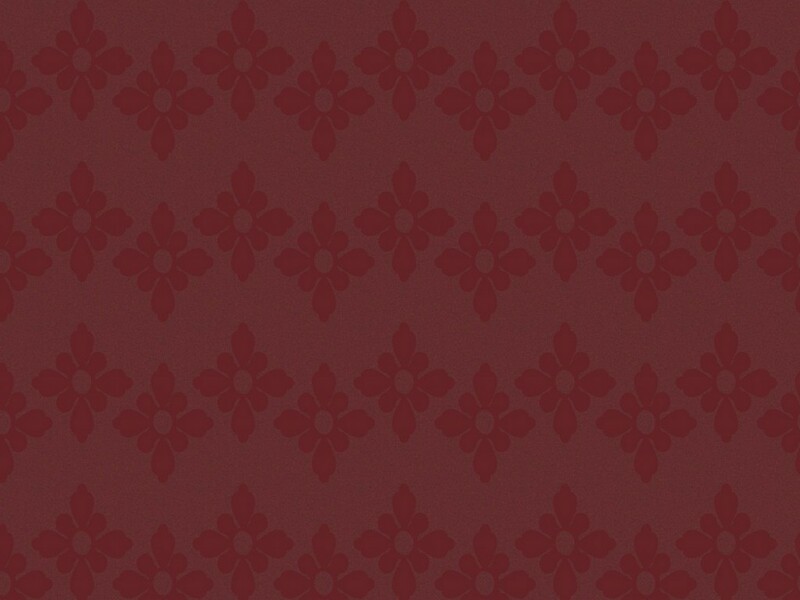 The pattern was created in Xara Designer and the image rendered in Cinema 4D as a length of material. 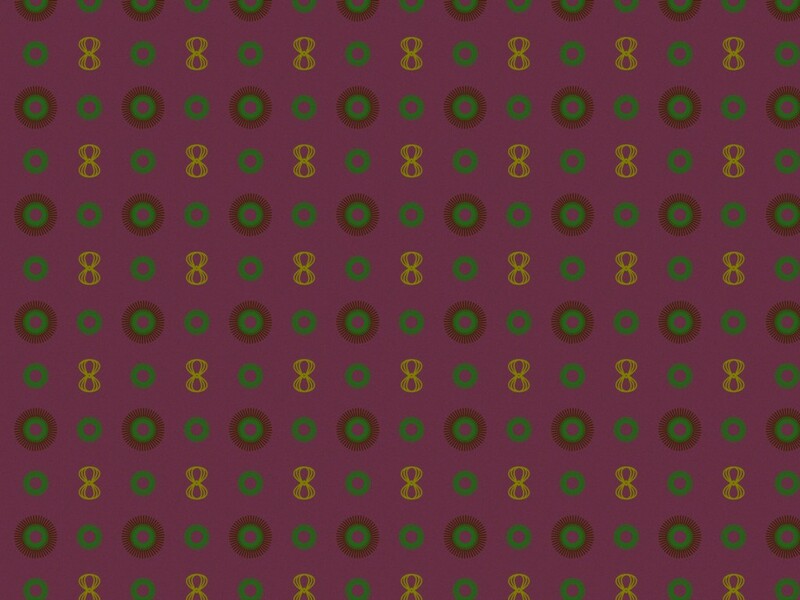 Yes, this is a fairly uninspiring fabric pattern, I agree, but I have done my best to make it as attractive a proposition as I can! 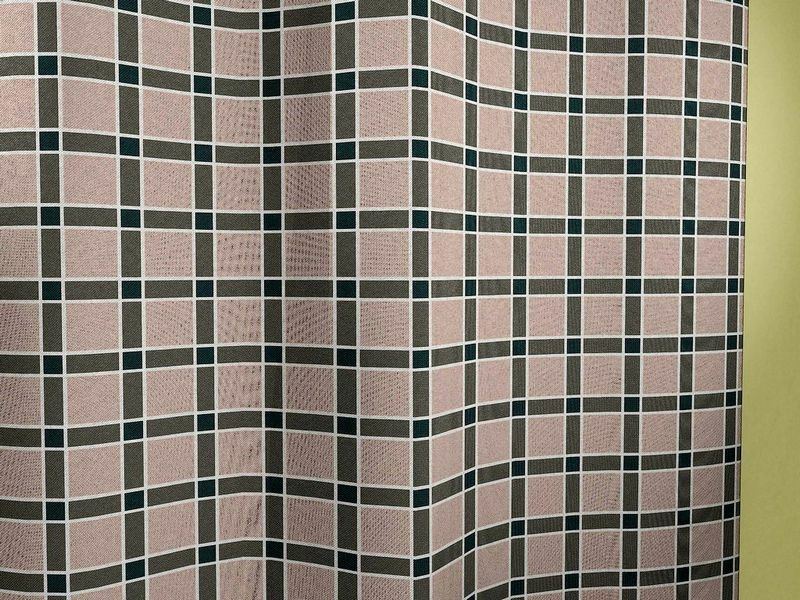 The pattern is a simple dot, the sort of design that adorned many a business or interview outfit in the 1950s and 60s. It is a lasting design of course and can be found even to this day – and used for many a similar purpose. The image is in fact part of a character that I am presently working on. The background is a stage set and the model is Ginger, a Daz Genesis 2 character, who is a singer and dancer; the skirt is Neat Pleats. The pattern was put together in Xara Designer and the image created in Daz Studio 4.7 and finished in Photoshop. 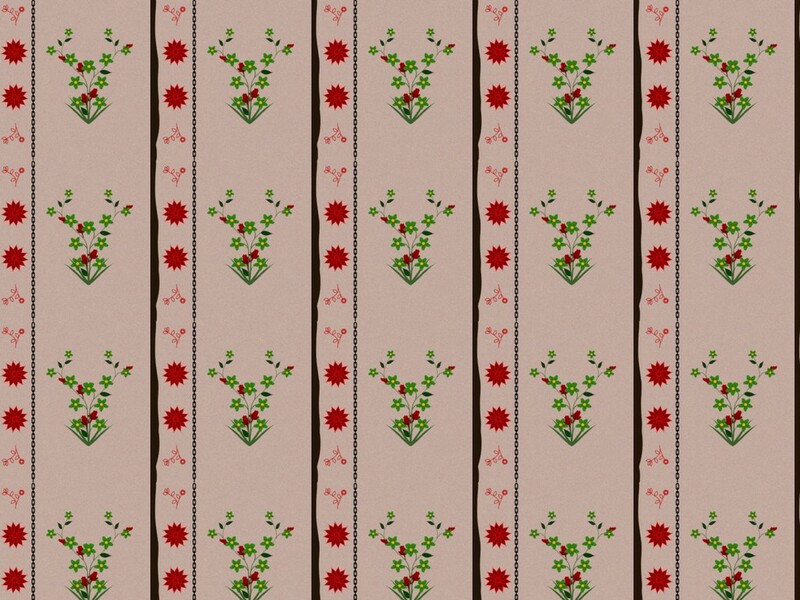 This is a sort of stylised floral, the type of pattern that was popular in the late 1950s and early 1960s and it is here used as curtain material. The look and the design are very much mid-century as is the rather standard colouring and I have included a swatch to see the pattern better. 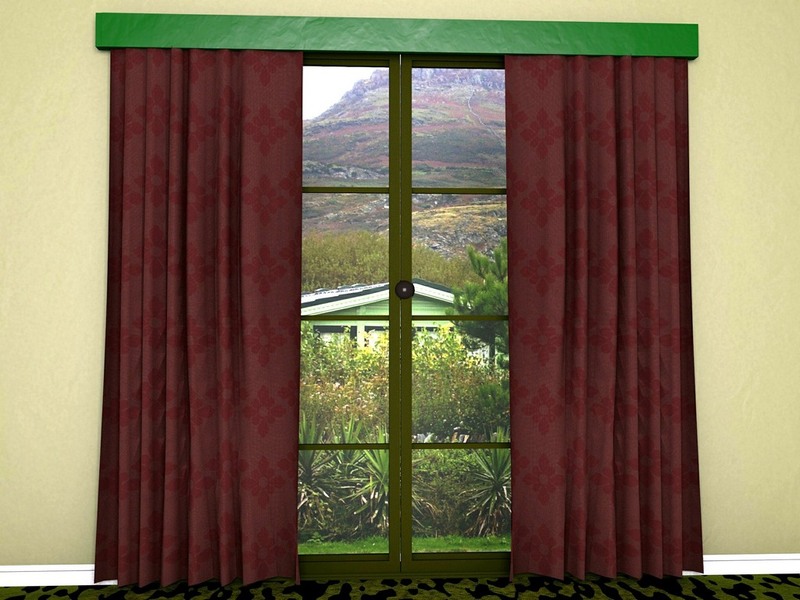 This design was made in Xara Designer and the image was produced in Cinema 4D using the new fabric channel.